I grew up in a small town that hosts a big rodeo. 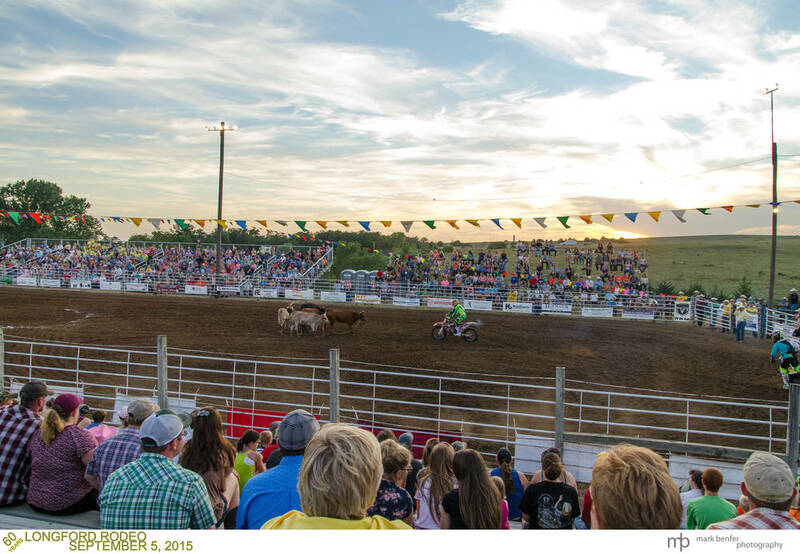 On Labor day weekend, Longford, Kansas holds a two day PRCA rodeo that features some of the best cowboys and cowgirls in the country. This year marked the 60th year for this great event. 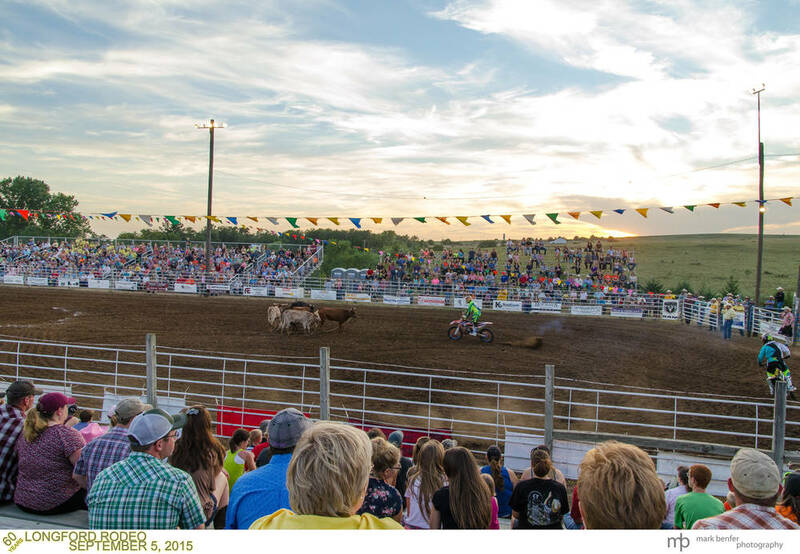 The Longford Rodeo, as part of the PRCA Prairie Circuit, attracts top-notch cowboys and cowgirls that have been to the National Finals Rodeo. Many of them are on their way back to the finals. This year was no different. New for 2015, the crowd was treated to some amazing dirt bike action. The rodeo always brings in some entertainment beyond the normal rodeo events. 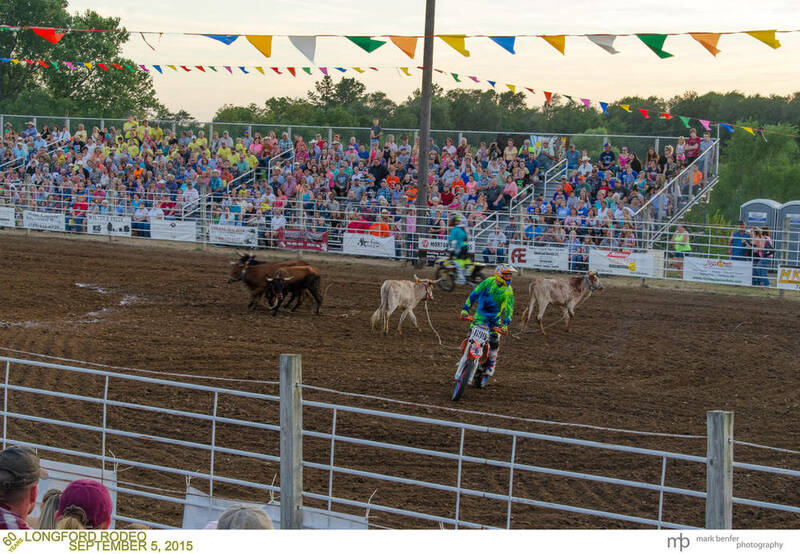 The additional entertainment this year was in the form of cowboys on dirt bikes, two to be precise. These two dirt bike cowboys showed off their skill by preforming jumps and mid air tricks. 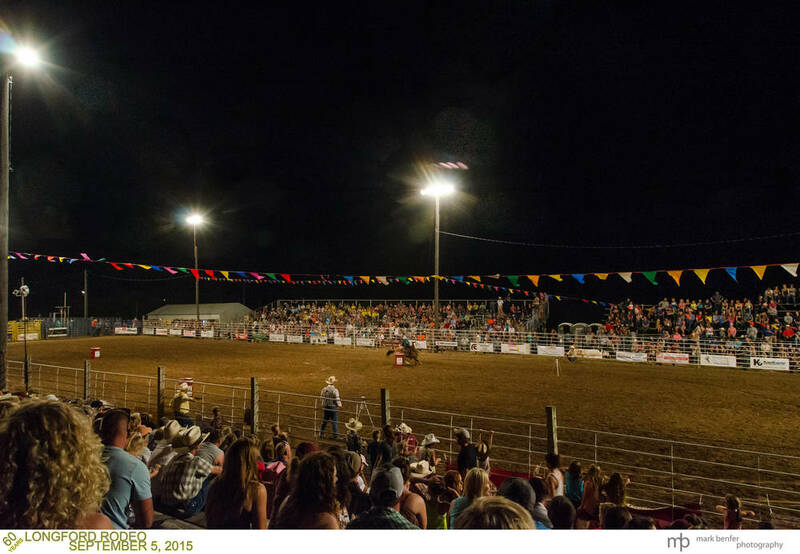 The rodeo is the main event for the weekend, being held on Friday and Saturday nights. Longford also hosts other activities over the weekend, including a parade. These other activities are held downtown. It was definitely another great show for this 60th year. Be sure to put it down on your calendar to attend next year's rodeo.